Where were you when you heard the news? I was sipping on some single barrel bourbon and burning old bank statements in the fireplace when I learned that the nation was officially caught up in a chicken wing craze. Seems that for the first time ever, the average wholesale prices for chicken wings had eclipsed prices for chicken breasts. Doesn’t surprise me. I’ve always felt breasts were over-rated. Industry watchers attribute it to the recession. Restaurants, the big buyers of breast meat, cut back orders as millions of people cut back on eating out. Breast prices slumped. 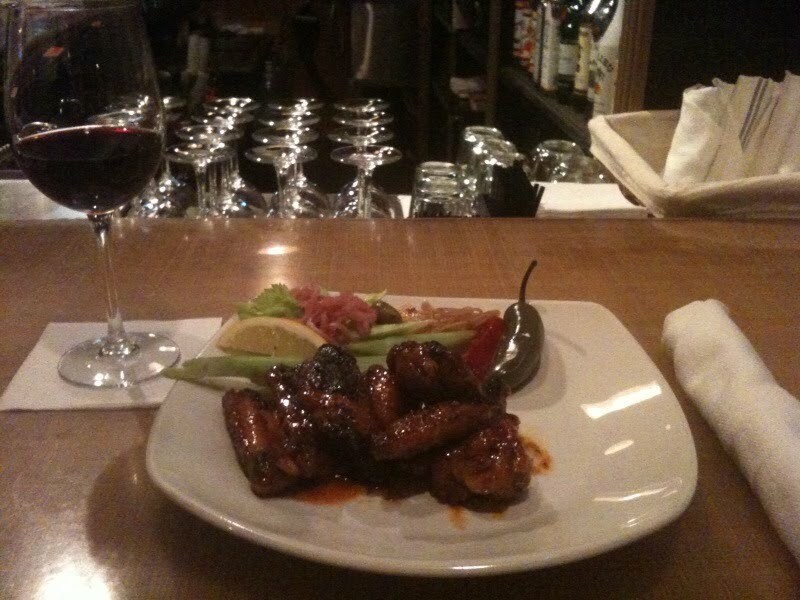 Demand for wings, however, remained strong, partly because people perceive them as a cheap luxury. But that’s only part of the story. Fueling the craze too is the growth of restaurant chains focusing solely on wings. They don’t require a lot of capital or special equipment. They certainly don’t require any real culinary expertise. The pizza industry’s gotten into the game too, calling pizza and chicken wings a match made in heaven. Pizza Hut and Papa John’s push them. Rehoboth’s own Nicola’s, on the other hand, sells chicken tenders, slices of breast meat deep-fried and served with dipping sauces. Clever marketers now call them “boneless wings,” a term I find a little unsettling. For a myriad of reasons, the common chicken wing, aka the Buffalo Wing, has become a classic American finger food and a regular standby during football season. This simple combination of bone, skin, and fat has overtaken nachos as the number one menu appetizer. Does anyone eat fried mushrooms any more? According to most food historians, Buffalo wings were invented in 1964 by Teressa Bellissimo, a co-owner with her husband Frank of the Anchor Bar in Buffalo, New York. The way the story goes, Teressa received one day a case of chicken wings by mistake. She had no idea what she was going to do with so many wings, which she used primarily for soup stock. The revelation came to her in the middle of the night. By God, she’d cut ‘em in half, broil ‘em, and then sprinkle ‘em with butter and a hot sauce. Voilà, a classic was born. The blue cheese and celery came later. In 1980, the New Yorker did an expose on the Buffalo wing and turned up an alternative origin. An African-American man named John Young claims to have been serving fried chicken wings with a special “mambo” sauce on them back in the mid-60’s in his “Wings and Things” restaurant in Buffalo. He moved to St. Louis for several years before returning to Buffalo and re-opening his business in 1979. The Anchor Bar, however, remains the Holy Grail for wing lovers, serving up more than 70,000 pounds per month. More than ninety thousand people attended the city’s Buffalo wing festival last September. Forty tons were served. Though chicken wings have a cult following in pubs and at eating contests, they’ve also crept into more upscale restaurants. In Rehoboth, for example, Stingray used to feature a Chinese chicken wings with a Hoisin sauce. Dogfish Head serves a traditional hot wing, as well as a barbeque wing, which I recently sampled. They were tender and perfectly seasoned. At Salt Air, the wings are grilled with classic Old Bay seasoning and served with tomato jam and pickled peppers with anise. They pair nicely with a big Zinfandel. Speaking of good pairings, nothing in my opinion beats a classic Makers Mark Manhattan and a plate of ordinary hot wings. There’s something about the complex nose of the upscale bourbon, with vanilla and spice, a delicate floral note of roses, lime and cocoa beans, and a finish featuring fresh oak with a hint of smoke and a flash of peach that works perfectly with the simplicity of a fried chicken wing and cayenne pepper. Okay, so I’ve gotten a little out of hand here. I know some of you reading this column are wondering why in the hell would he pen a column about a cheap piece of meat. Well, why not? What else is there to do in Rehoboth during the winter but eat chicken wings, drink whiskey, and tend your African violets? In closing, let me leave you with one final thought: lobster was once the equivalent of spam.